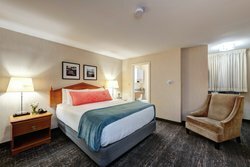 The perfect resting spot for the weary traveler, our Queen Room offers all of the comforts of home at affordable prices. Characterized by fresh tones and bright accents, our rooms envelop you with warmth and tranquility. Our plush queen-sized beds promise premium linens and quality pillows for a restful night’s sleep. 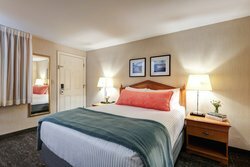 Ideal for one or two guests, this spacious Portsmouth lodging comes with a wealth of in-room and on-site amenities. Wake up each morning to a free continental breakfast spread boasting local fare and spend the evenings taking advantage of the free premium movie channels at your disposal. 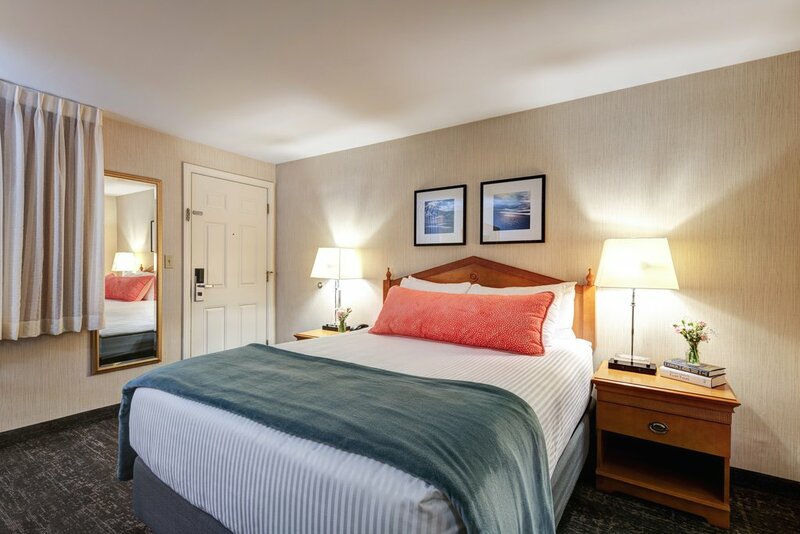 Our high-speed Wi-Fi will keep you connected throughout your stay and you will love the convenience of the iHome in every room, as well as the AUX input that allows you to listen to all of your favorite tunes. 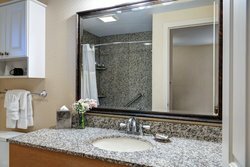 As an added bonus, all of our rooms promise basic kitchen amenities, facilitating your late night snacks, cold beverages, and leftovers. 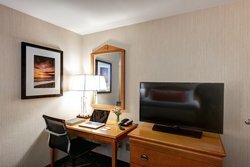 Throughout your stay, you will delight in the use of our onsite pool, lush outdoor spaces, and functional business amenities like a touch screen computer, printer, and scanner.